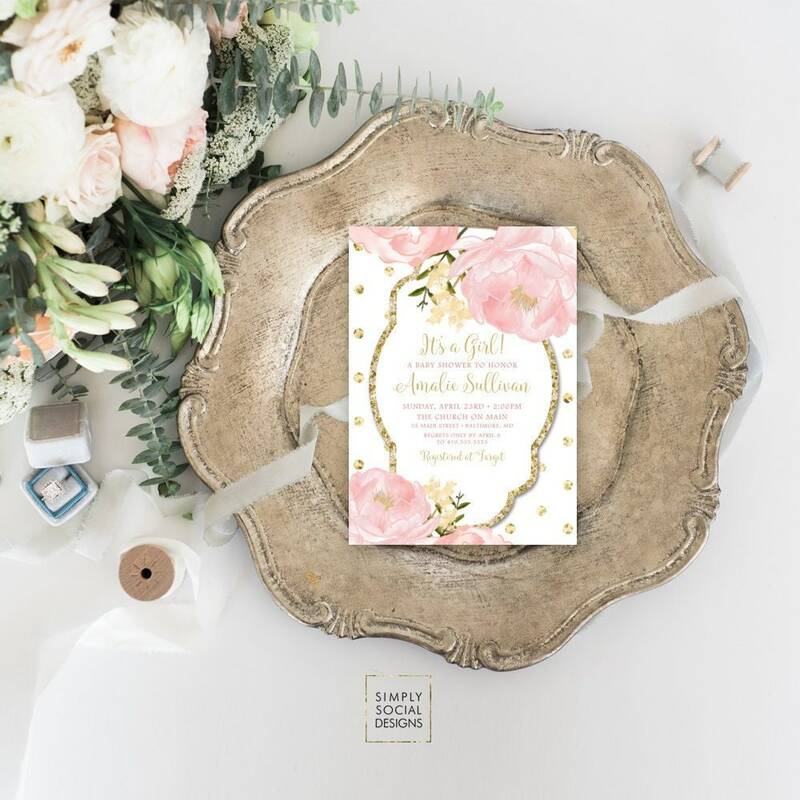 Nothing is more romantic than beautiful peony flowers so there's no better way to celebrate a new baby girl into the world than with these personalized invitations. Your baby girl will be adored and cherished so it's only right that you celebrate in style. Nothing could be easier than with these floral printable baby shower invitations. 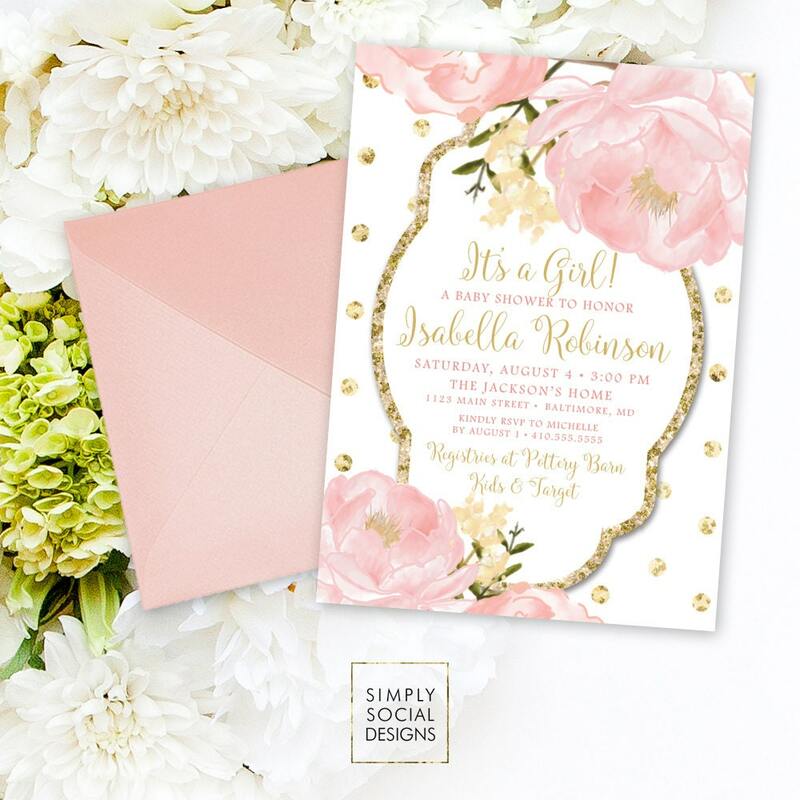 Entirely personalized with your information, the baby shower invitations have been designed with pink peony flowers and gold polka dots for a little extra sparkle. The botanical theme makes these custom invitations super stylish but also very girly. You could match the theme of your party by decorating your venue with pink flowers and gold confetti. Nothing could be sweeter. *** Just as expected and beautiful! Received the proof sooner than expected. Highly recommended. *** Beautiful invite! Very fun and feminine. *** LOVE this invitation!! It turned out perfect when printed and seller was excellent to work with! Fast response! Beautiful job! Satisfied.